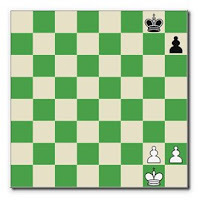 Tartajubow's Chess Books and Equipment: Get a 2500 Rating! How did Jonathan Hawkins manage to go from being an average tournament player with a rating of around 1700 to a Grandmaster? He claims he did it by focusing his attention on the endgame and devising a number of building blocks and identified a number of important areas of study. Most of us would probably begin calculating and would soon be swamped with a whole bunch of lines and still be unsure if white wins. Hawkins says we should be looking for ’building blocks’ and key positions. The Shredder Endgame Database confirms there's only one winning move here: 1.Kf2 wins in 32 moves against the best defense which, of course, is beyond our ability to actually calculate. According to the database other moves only draw. By the way, if it's black's move he can draw with either 1...Kf7 or 1...Kg7. Obviously, you need some kind of guide for positions like this. Hawkins does a good job of showing how strong players use short plans to improve their positions little by little to secure the win. In Part II he shows us how the thinking techniques he describes in Part I work in simple positions. He looks at R vs. P vs R, R&P vs. B&P and other B endings. He also has an outstanding lesson on understanding how (and why) the Philidor and Lucena positions work. Parts I and II give the basics. He gets down to business in the second half which is where he begins showing us the analytical work that resulted in his great success. 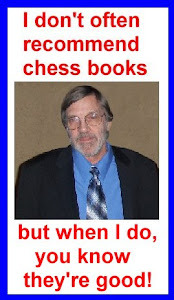 He also throws in lessons on the middlegame. Then he examines R endings with 3P's vs. 4P's. Hawkins' book also teaches us another important thing...HOW to do the work that leads to improvement. Basically, he advises that improvement will come in small spurts as basic knowledge grows and one learns how to analyze. That was an interesting insight. GM Alex Yeromlinsky has also discussed how he made great strides in his chess development when he finally earned how to do independent analysis. I wish I had this book back in the 1970s!